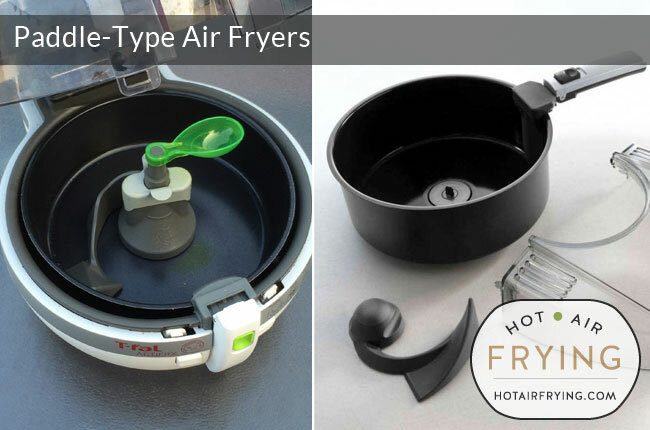 We have made Actifry a category of its own but it certainly is also a paddle-type air fryer. Paddle-type air fryers have the ability to do “set it and forget it” type cooking for you (not that one should ever completely ignore a switched-on appliance in the kitchen.) They will turn the food over for you so you can get on with other things. In addition to air frying, they also tend to be multi-purpose machines that can do saucy dishes such as curries and risottos very well.